History The Crofts Hotel was originally built in 1867 and its address was 14 – 15 Crofts street.In 1941 the premises were destroyed by enemy action in the Blitz. Many people lost their lives. Being rebuilt for Hancocks Brewery and completed in 1957 as The Crofts, it now stands on the site of numbers 14-17 Crofts Street.Although the pub still retains its original address of 14-15, numbers 16 and 17 were never rebuilt. The original 1867 deeds are hanging in the bar at the moment for everyone to see. In 1970 the pub changed hands when Bass Charrington acquired it for the princely sum of £50,000. The Brewery neglected the place for some years and consequently it gained a poor reputation,becoming a bit of an eyesore frequented by some unsavoury characters. In September 2010 the premises were bought by Wastrel Limited a private company and is being run by landlord Mark Oldfield and his team.A local boy brought up in Glenroy street just around the corner. Many improvement have been made in a short period of time.More improvements will continue to be made to get “The Community”back in its pub.The bar is open 12hrs daily and the function room operational. The kitchen is now open daily with the highlight of the week being Lorraines Carvery every Sunday between 12 and 4pm.Chef Lorraine has a flair for all things culinary come in and taste for yourselves,you will not be disappointed i can assure you. 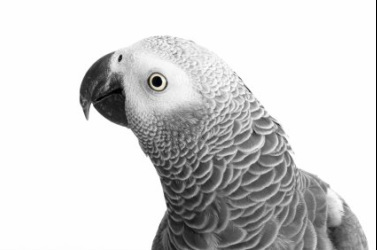 Wish us luck in our new venture and come and say hello to Crofty our African Grey parrot who i am sure will greet you with some colourful language.